On Thursday December 15th Madison travelled to Leon Goldstein High School for a tri meet with Goldstein and Midwood High School. Led by team Captain Griffin Costantino with a win by fall at 106 pounds, Madison earned 9 more pins to put away long time rival Midwood 66-22. 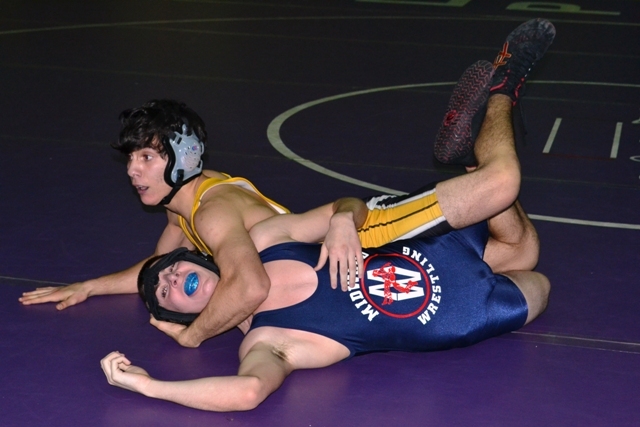 The Golden Knights wrestled Goldstein High School earlier in the afternoon and prevailed by a score of 54-30. « Madison Takes First Place at the Paul Goddard Invitational Tournament.